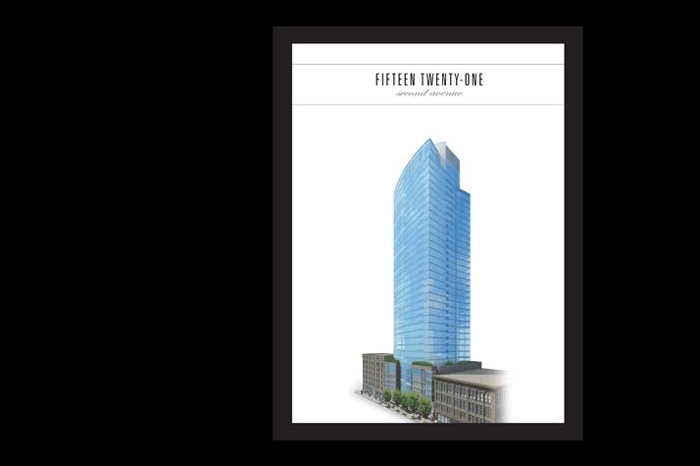 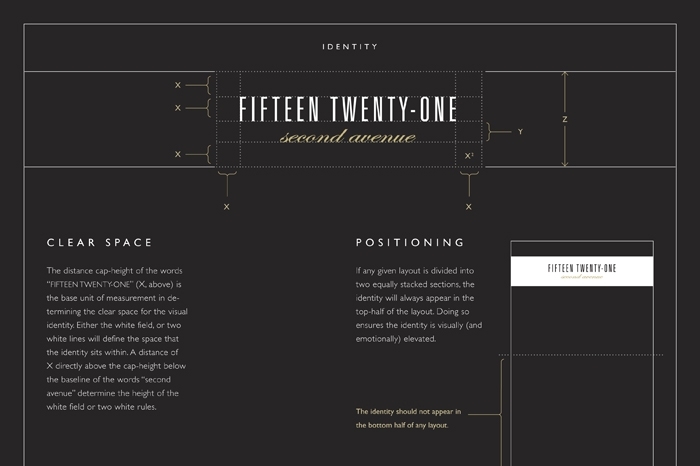 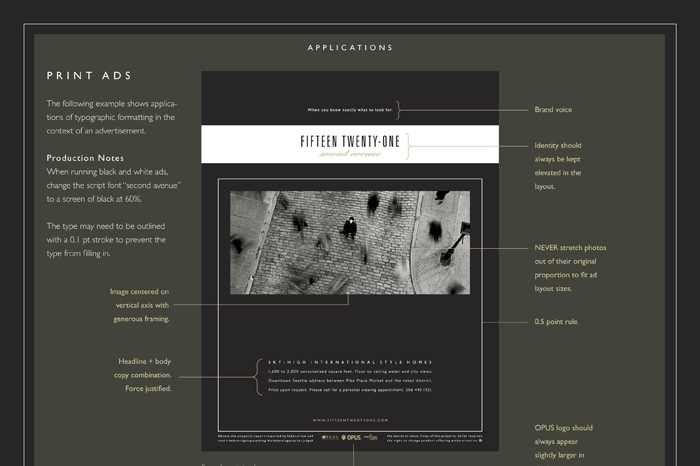 The marketing and design for Fifteen Twenty-One, a project dedicated to architectural excellence, drew inspiration from the towers’ sleek modernist lines. 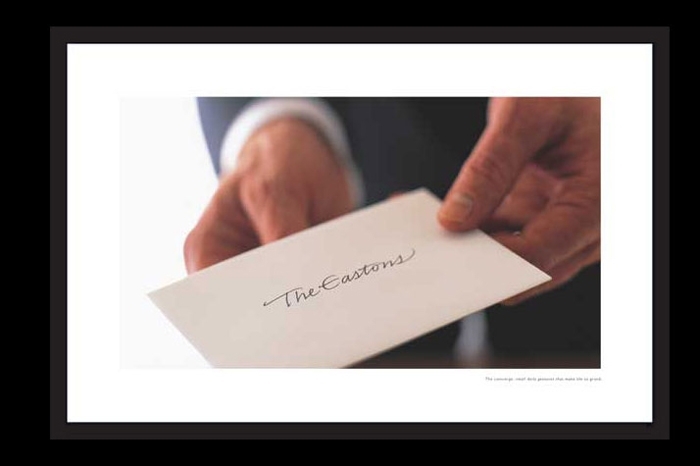 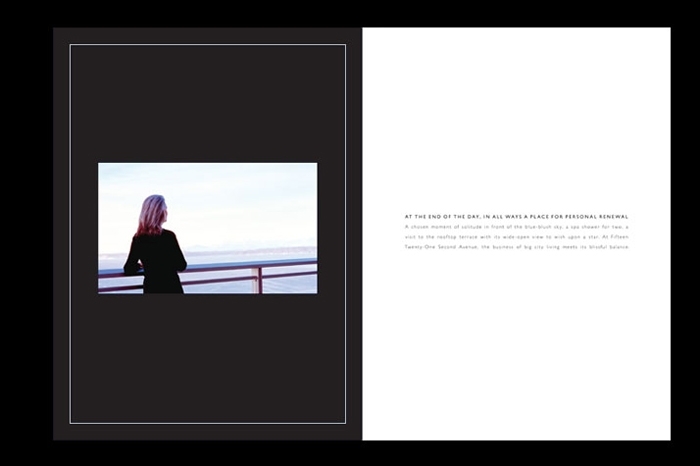 RMB Vivid positioned the advertising and print collateral to communicate confidence and quality, presenting the design details as fine works of art, each framed and carefully paced. 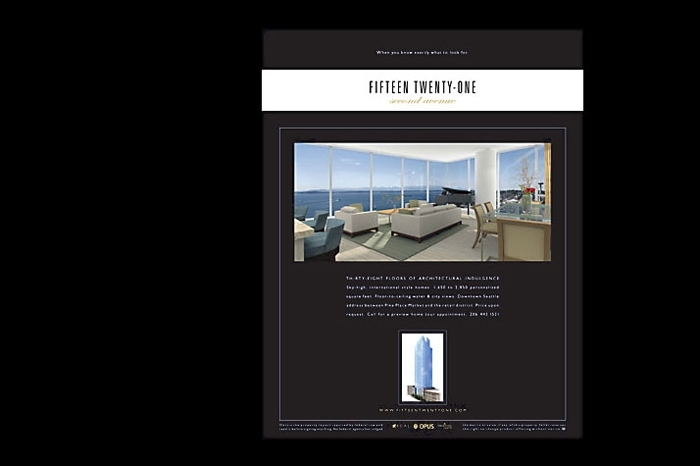 The Fifteen Twenty-One Preview Center, with interior design by Susan Marinello, exuded elegance and grace. 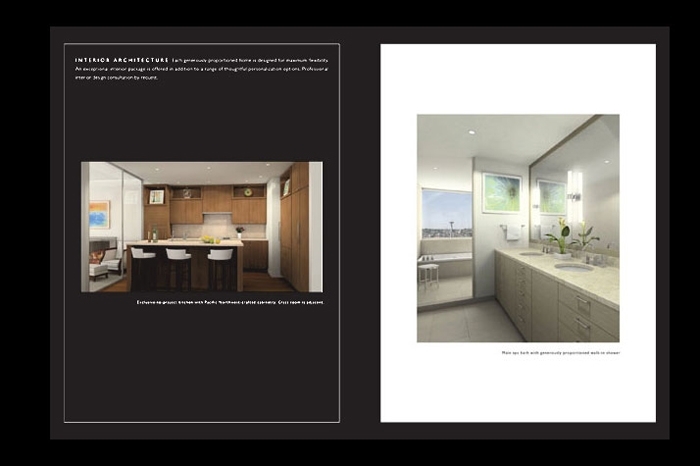 Each element of the graphic design, from the building identity to the plasma screens and building renderings, was integrated into the environment as fine art to provide the understated feeling of a luxurious home.